Pretty great sight isn't it? A box full of undumped games, whose roms have have never touched the internet. This incredible collection was hunted, assembled, and donated for redump's miss list by nielfink of Denmark! 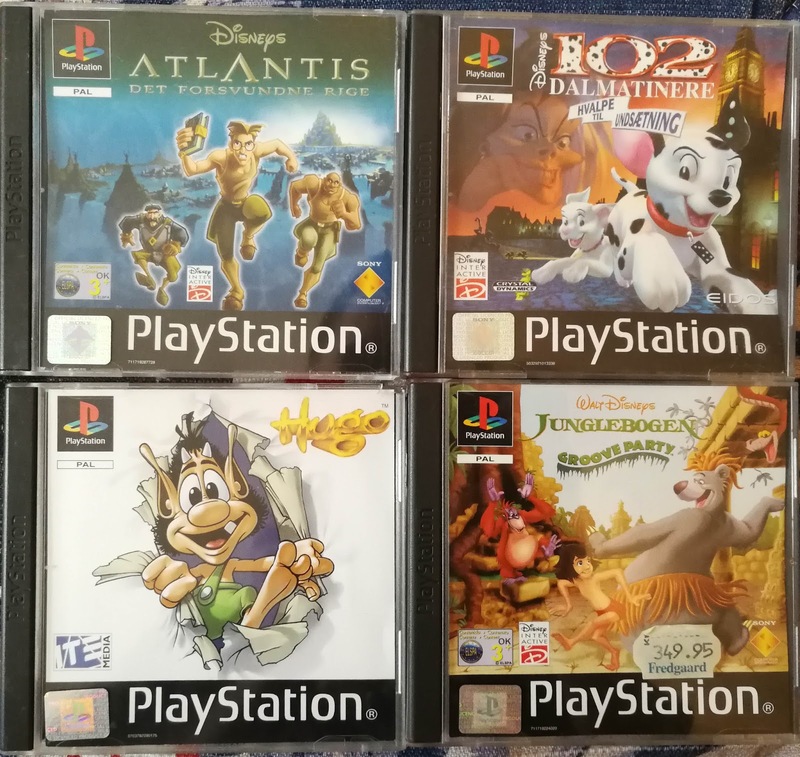 Myself, the other PSX PAL hunters, and redump.org are greatly appreciative of this donation. 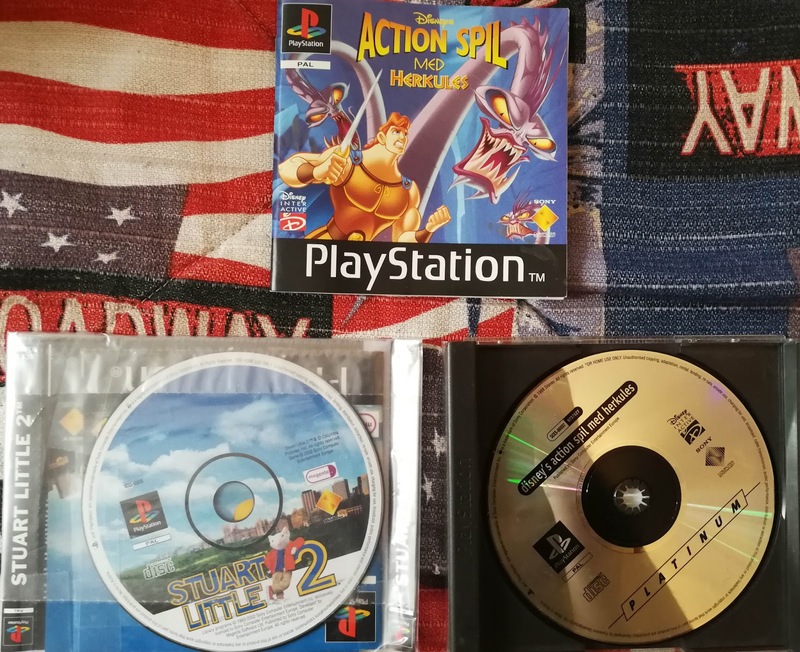 This box effectively cuts the PSX PAL games miss list down by 40%, a massive amount! The story of hunting down these discs, and meeting nielfink is shared below. Long before modern gaming systems with 50GB-sized Blu-Ray discs, regional variants would often carry only a handful of languages. 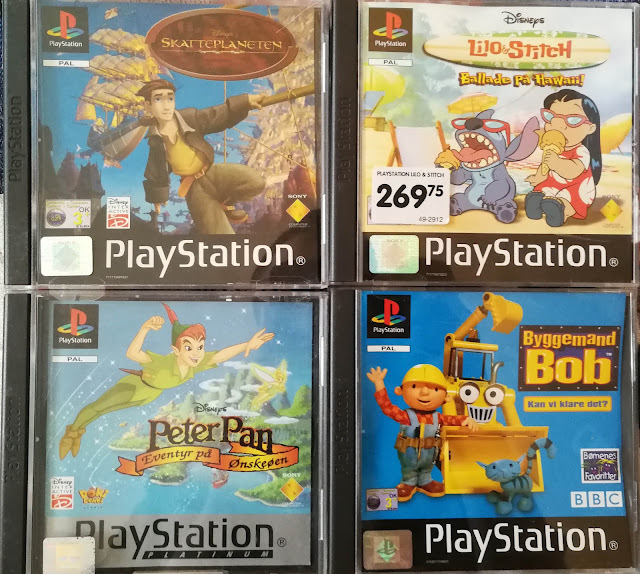 PlayStation 1 European releases were often limited to five major languages: English, French, German, Spanish, and Italian. 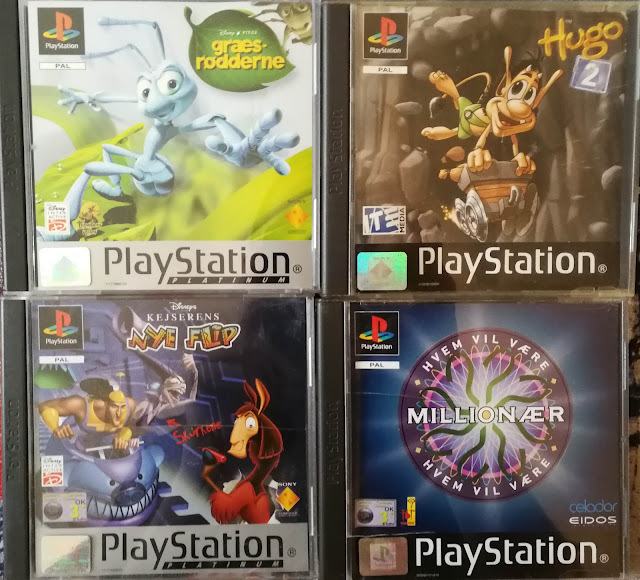 On a rare occasion, some titles would try to cram as many languages into a disc as possible, for example Hugo: Frog Fighter, with an impressive 11 languages. 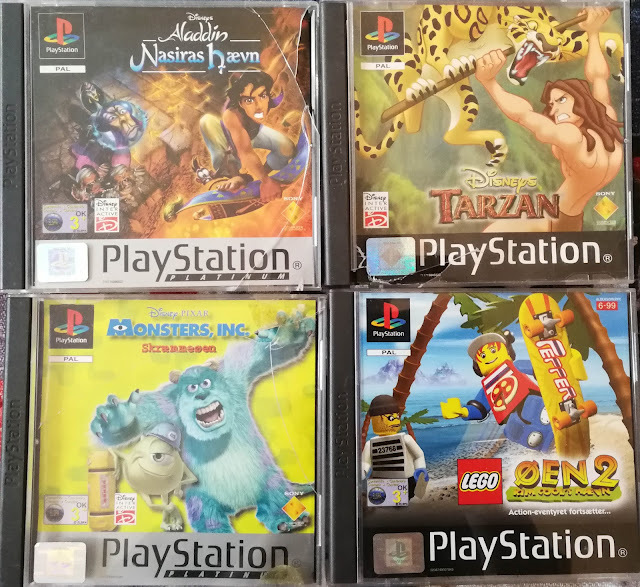 However, on blockbuster titles with lots of high quality graphics, space was much more limited - and as a result usually received multiple releases for only one or a couple of languages per disc. Depending on factors likely ranging from profitability to budget, some European games were English only, or the five major European languages. Everyone else was expected to adapt, or miss out on the gameplay. But sometimes... games were released with dedicated languages for smaller markets. Among these rarer languages, is a cache of games released in the northern European countries of Denmark, Sweden, Finland, and Norway. For a few reasons, a lot of these games/roms have never reached the internet. Reason #1: These regions avoid eBay like the plague. You cannot find them on eBay at all. Reason #2: These countries have smaller populations, and are therefore statistically less likely to leak roms to the outside world. Reason #3: They are mostly kids games (since kids may only know their country's primary language, dedicated games were released). These games might not have enough interest to hunt down for the average rom collector. 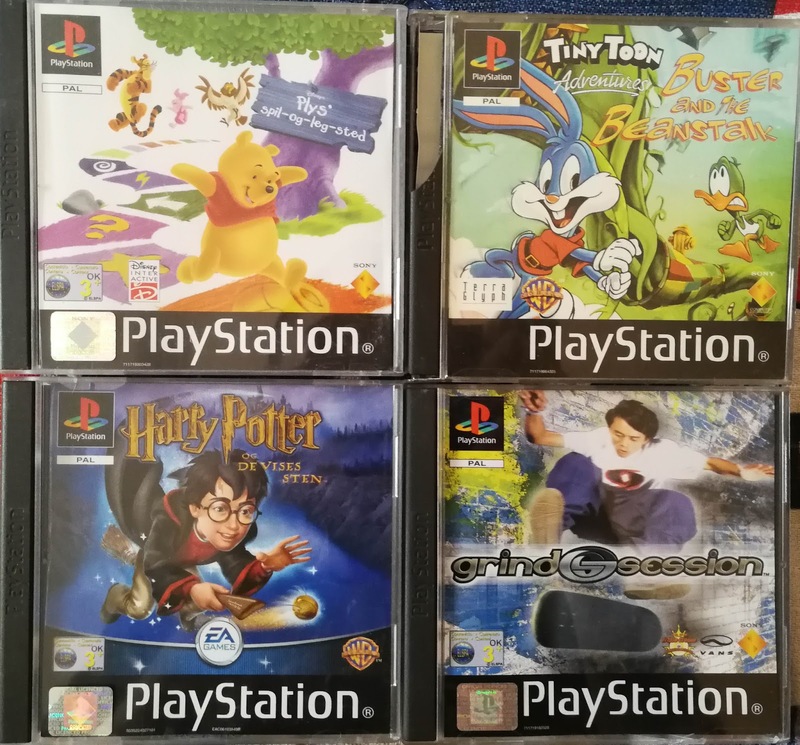 Hunting these games required leveraging localized subreddits and building a respectable list of localized online gaming shops. Money quickly burned, but the redump.org PSX PAL miss list was shrinking in a massive way. The big beast of Europe north was without a doubt Denmark. I was lucky enough to connect to nielfink at this time. He was quick to pickup on what I was doing, happy to message sellers asking for serial numbers (and probably ensuing a lot of confusing conversations with sellers about "what the heck is a serial number? what numbers am I looking for where again?"). Denmark's list totaled almost 20 missing games, and I was lucky enough to find someone who would help hunt them down for our project... lucky! It would be a few months later, and a decimated miss list before I would find out how lucky I was. Every step of the way I offered to pay, but it was always put off until later. Shipping day came, but no total calculated. Discs shipped, received in Spain (thanks Diego! ), no bill received. I'll admit it, I was dreading the bill! But still prepared to pay. Before long, nielfink informed me to consider the discs a donation. Effectively nielfink preserved Denmark's PS1 legacy with one fell swoop. 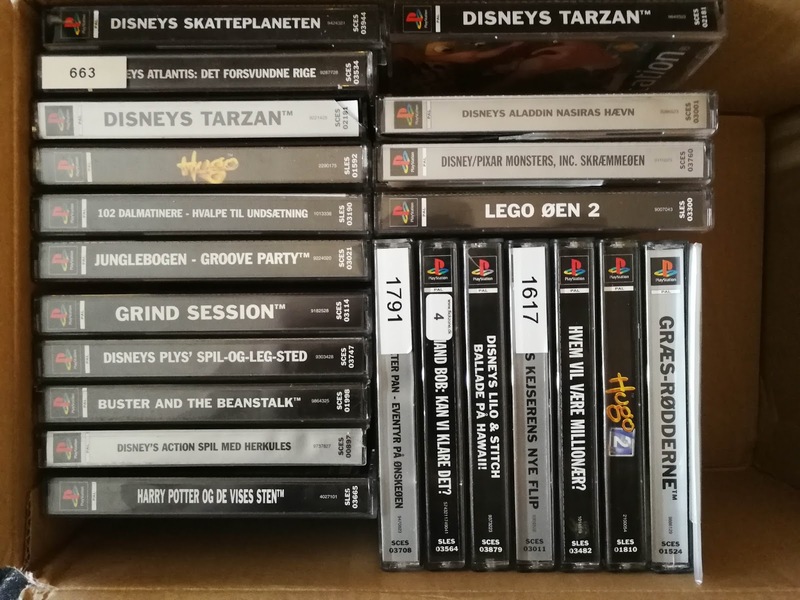 This remains a truly incredible gesture to preserving Denmark's gaming preservation history. Lovely, aren't they? 😁 These dumps are headed towards redump.org's hallowed shores and the data to be widely disseminated thereafter. Here's the status of our PSX PAL hunt. France missings are being steadily dumped by the legendary Renzukoken of psxrenzukoken.com, Scandanavia + Finland remaining missings are being hunted by myself and olofolleola4. diego-rbb-93 is wrapping up Spain. While number78 is keeping an eye out in Australia to wrap up that set. Talk about an all star crew! Expect PSX PAL to be decimated by the end of 2018, only a small handful of stragglers will still exist in the wasteland of a miss list. It's an exciting time for PSX PAL preservation.